Whether you hunt ibex in Spain, chamois in Austria, grouse in Scotland, or wild boars in Romania, hunting in Europe is a fascinating and rewarding experience. Hunting in Europe is inextricably intertwined with the continent’s rich history, and the customs and traditions that have been passed down through the generations are an important part of the adventure. European countries are known for their intensive scientific game management, which has led to excellent trophy quality for many species. Hunting in Europe is also a great choice for a hunter who wishes to combine a few days of hunting with a family vacation or business trip. Hunts in Europe tend to be well-organized, sophisticated operations. 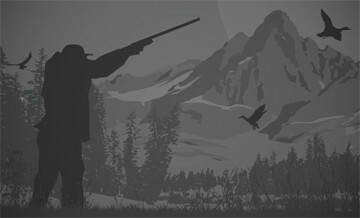 A variety of hunting techniques are utilized, depending on the country and the species. 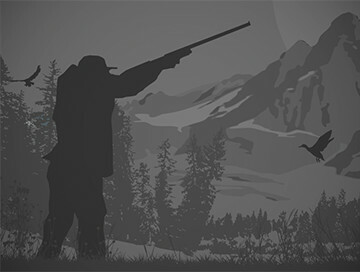 Driven hunts for big game are common in many areas, but spot-and-stalk as well as hunting from stands or “high seats” are common techniques as well. Europe’s big-game animals include chamois, several types of ibex, mouflon, red deer, moose, reindeer, wild boar, sika deer, wolves, and Eurasian brown bears. Game birds are also plentiful, including black, red, and willow grouse, ptarmigan, geese, ducks, woodcock, snipe, red-legged partridge, and pheasant. Kamchatka brown bear Fall hunt is considered to be one of the most exciting hunts. Hunting season starts when bears concentrate on rivers and catch fish. During this time most of the bears come to the rivers' banks and catch various species of Kamchatka salmon. One can hardly take a chance to see so many bears at one spot and choose the most desirable trophy. Hunting is done on the small oat fields. A hunter occupies a position on a high seat and waits for the bears coming for feeding. Normally most of the bears come to the fields in the evening. A hunter should be very careful while waiting for a bear on the high seat, do not smoke and produce any sound. NIGHT HUNT! Package includes Bear trophy with 14 cm wide front paw. Each cm over is charged as 150 Euro/1cm. This is a pheasant walk-up and driven hunt for minimum 6 maximum 8 guns. Two hunting days (4 nights) and 10 pheasants/hunter included in the package price. Extra pheasants will be charged at 20€/pc, grey partridges - 30 €/pc, hares - 25 €/pc, jackals and foxes - 15€/pc. If requested, transfer from Bucharest or Bacau airport to the hunting lodge and back- 300€//every 1 to 3 hunters, is to be considered extra fee. All the prices are without 5% VAT (state tax).